First used by the Arabs, many years ago, they dubbed this valuable plant the "father of all foods". 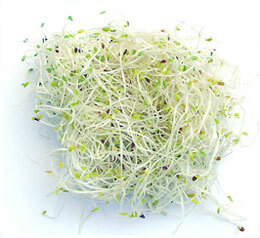 Alfalfa Sprouts are the classic sprout. with a mild, fresh, nutty flavour and a wonderfully crispy texture. 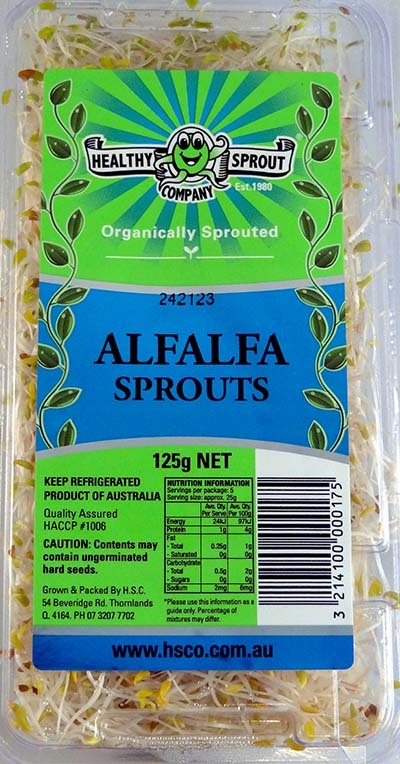 The alfalfa plant are rich in minerals and nutrients, including calcium, magnesium, potassium, and carotene (useful against both heart disease and cancer) and are also rich in protein, vitamins A, E and K.
Thought to be helpful in dealing effectively with possible excess uric acid. Alfalfa is useful in the treatment of urinary tract infections, and kidney, bladder and prostrate disorders. High in antioxidants it alkalises and detoxifies the body, especially the liver. Promotes pituitary gland function and contains an anti-fungus agent. 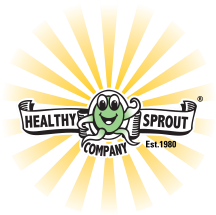 Great health benefits can be gained from drinking juiced Alfalfa sprouts and adding them to other vegetable juices, or a small amount of Radish sprouts for variety. Prepare your sprouts for juicing by wrapping them up tightly in something like a lettuce leaf. Feed the stuffed lettuce leaf into the juicer. This should help the juicer extract the juice from the alfalfa sprouts more efficiently. Mash the cauliflower in a bowl, add the mustard, lemon juice, curry, salt and mayonnaise and blend well. Chill well. 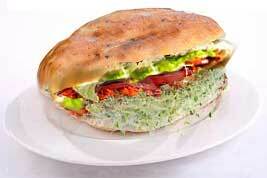 Spread mix in pita bread and add the alfalfa sprouts, carrots and tomatoes.